This 7″ was later repressed with ‘So Many Rappers’ replacing ‘War’, apparently at the request of Pete Rock. 500 copies of the second version were made, but a small quantity of this original pressing were given away free to customers of HipHopSite.com before the withdrawal took effect. 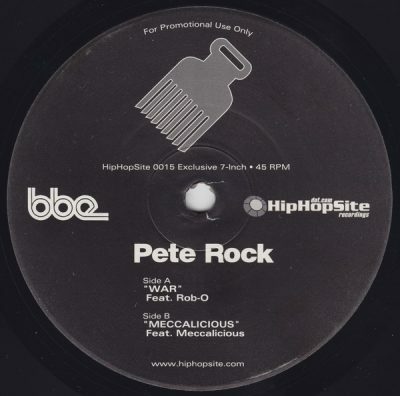 comment "Pete Rock – War / Meccalicious (VLS) (2003) (FLAC + 320 kbps)"